Jack French is a former Navy officer and retired FBI Agent who has been researching radio history for the past 40 years. He is the former editor of NARA News and current editor of Radio Recall, both old-time radio journals. Jack received the Agatha Award for Best Non-Fiction for his 2004 book, Private Eyelashes: Radio’s Lady Detectives. He has also been honored for his radio research and writing with the Allen Rockford Award, the Stone/Waterman Award, the Warren Award and the Ray Stanich Award. He was inducted into the “Radio Once More” Hall of Fame in 2011. He lives in northern Virginia. David S. Siegel, a retired superintendent of schools, has been collecting Golden Age of Radio broadcasts, scripts, magazines, books and ephemera for 50+ years. He is the editor, author and co-author of seven books about old time radio, including The Witch’s Tale, Remembering Radio, Flashgun Casey, Crime Photographer, A Resource Guide to the Golden Age of Radio, Radio Scripts in Print, and Radio and the Jews, as well as numerous articles. The recipient of both the Allen Rockford and Ray Stanich awards, he lives in Yorktown Heights, New York. 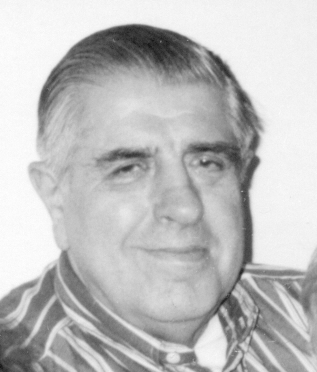 Frederic S. Berney began recording radio shows in 1952 at age 13. He started his own recording studio while in high school, which eventually became the full service audio and video company. In 1964 he produced his first feature film, Once Upon a Coffee House, which starred a young Joan Rivers. Fred is an old time radio collector and dealer, and is the current president of the Metropolitan Washington OTR Club. He lives near Frederick, Maryland. Bob Burnham began writing regularly about old time radio in the late 1970s as co-editor and columnist for Collector’s Corner magazine and later authored several “how-to” booklets on the technical aspects of preserving and duplicating sound. He contributed regularly to NARA News as a columnist and for the past 40 years has been a vendor of OTR products. He has received the Allen Rockford Award and the Stone/Waterman Award. A broadcast engineer in Detroit, he is an engineer in the local Michigan school system. Stan Claussen has researched and written extensively on the Golden Age of Radio. He is currently the audio theater producer at the American Museum of Radio and Electricity in Bellingham, WA and also an instructor of Radio History and Drama in the Academy of Lifelong Learning program at Western Washington University. He is also an actor and has performed in radio re-creations for the Radio Enthusiasts of Puget Sound in Seattle. J. Randolph Cox is the editor of the Dime Novel Round-Up and Professor Emeritus (Library), St. Olaf College, Northfield, Minnesota. 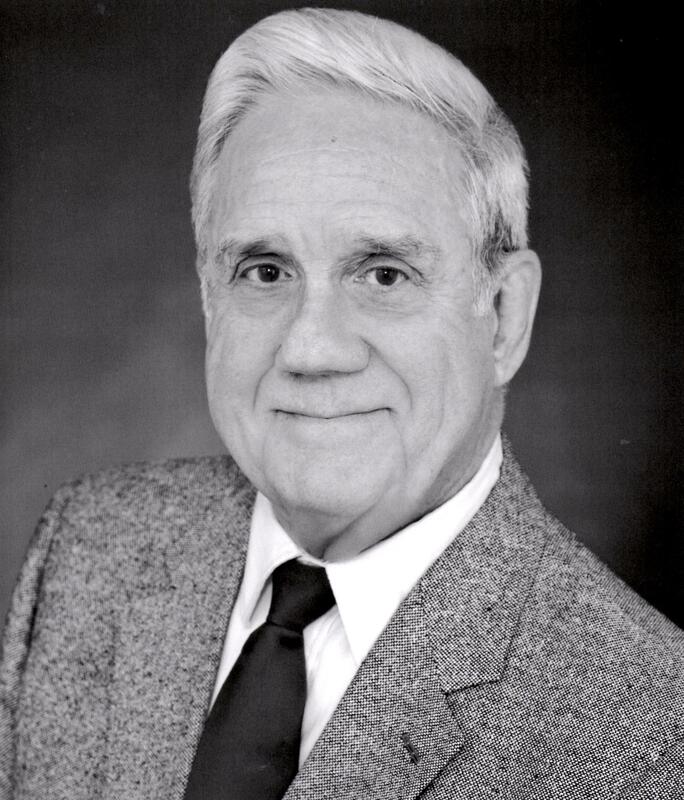 A noted authority on detective Nick Carter, Cox’s publications include: The Dime Novel Companion , Flashgun Casey, Crime Photographer, and writings about magician/author, Walter B. Gibson. He also contributed to Volume 6 (U. S. Popular Print, 1860-1920) of the Oxford History of Popular Print Culture. Ryan Ellett, a Kansas public school teacher, founded the online popular publication The Old Radio Times. In 2008 he received the Stone/Waterman Award for Outstanding Contribution to the Preservation of Old Time Radio. Respected as a thorough and indefatigable researcher, he has rescued several historical radio shows from obscurity. Many of his articles have been published on the Internet. Ellett’s first book, Encyclopedia of Black Radio in the United States, 1921-1955 was published by McFarland. J. David Goldin had a network radio engineering career with CBS, NBC, and Mutual. He is now one of the most prominent historians of old time radio. Since 1994, Goldin has donated over 10,000 16-inch disks to the Marr Sound Archives at the University of Missouri-Kansas City. He created and maintains the definitive database of all old time radio programs; his website www.radiogoldindex.com lists over 102,500 programs. He lives in Sandy Hook, Connecticut. 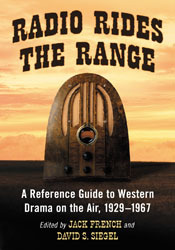 Martin Grams Jr. is the author and co-author of more than 20 books about old time radio including: The Have Gun-Will Travel Companion, The Shadow and The History and Mystery of the Radio Program, 1930-1954. He is the recipient of the 1999 Ray Stanich Award, the 2005 Stone/Waterman Award, and the 2010 Rondo Award for “Best Book of the Year.” A frequent contributor to the Old Time Radio Digest and , he is also the events coordinator for the Mid-Atlantic Nostalgia Convention, a non-profit three day festival held annually in Maryland. William Harper, as a 10-year-old, appeared on Don McNeill’s Breakfast Club in the summer of 1951 and grew up loving the Golden Age of Radio, music and comics. As an adult, after locating a cache of Straight Arrow comics at a flea market, he began to research everything possible about the fictional character. The endeavor spawned a newsletter he edited, Pow-Wow, which culminated in his 2007 book: The Definitive Straight Arrow Radio Log and Resource Guide for that Legendary Indian Figure on the Trail of Justice. Harper lives in North Augusta, South Carolina. Doug Hopkinson began collecting, researching, and writing about the Golden Age of Radio in 1994 and has earned a reputation as a tenacious and detailed researcher, uncovering the background of such little-known shows as Cecil & Sally, Og, Son of Fire and Baron Keyes’ Air Castle. His articles have appeared in Radiogram, the Old Radio Times and on several Internet sites. Bobb Lynes of southern California served as an artist/illustrator in the U.S. Air Force and has worked at Los Angeles area motion picture and television venues. He has been broadcasting old time radio programs since 1975 from the KCSN studio in Northridge, California and currently streaming live on www.KPFK.org. Lynes has acted in new radio productions and was the announcer on NPR’s Doc Savage series in 1985. A recipient of the Rockford Award, he co-wrote (with Frank Bresee) and illustrated the book Radio’s Golden Years. William Nadel is a radio and media historian who has authored or co-authored more than 100 liner notes for re-issued CD boxed sets of classic vintage radio programs. He comes by his interest in westerns through members of his family, who include O. Henry, the creator of the Cisco Kid. He lives in the Bronx, New York. Donald Ramlow has directed over 300 radio re-creations since 1982 at various old time radio conventions throughout the country. Among the performers he has directed are Academy Award winner Kim Hunter and Emmy winner William Windom, in addition to Parley Baer, Peg Lynch and Will Hutchins. He co-founded “All-Ears Theater” and has lectured on radio history throughout the Kalamazoo region. He lives in Michigan. Terry Salomonson has aired shows from his collection on radio, taught a college course in vintage radio, is an indefatigable compiler of radio logs, and has conducted audio or video interviews with over 50 radio celebrities. The recipient of five separate awards, he has contributed historical articles to dozens of publications and is the co-author (with Martin Grams, Jr.) of the book, The Green Hornet: A History of Radio, Motion Pictures, Comics, and Television. He resides in Howell, Michigan. Karl Schadow is a freelance radio historian living in Virginia who is a frequent visitor to the Audio/Visual Archives of the Library of Congress. He specializes in the history and background of The Shadow and has also researched and written about many obscure radio programs, including Dark Fantasy, The Spirit, Peter Quill, and the four soap operas Mutual debuted in 1941. He is a recipient of the 2011 Ray Stanich Award. Ivan G. Shreve, Jr. has been collecting and researching old time radio since 1975. His blog, “Thrilling Days of Yesterday, ” includes information on vintage radio, television and movies. He also writes program notes for boxed CD sets of old time radio programs. He lives in Athens, Georgia. Charlie and Katherine Summers are a Pennsylvania father and daughter team involved in old time radio collecting, preserving, and researching. Katherine is believed to be the youngest actress to have performed in a re-creation at the Friends of Old Time Radio Convention in Newark, New Jersey. Charlie is a long time collector of the Golden Age of Radio and is the listmaster of the Internet OTR Digest which goes out daily to hundreds of old time radio enthusiasts. Maggie Thompson is a writer and editor of the Comics Buyer’s Guide. While she has focused professionally on the popular culture field of comic books, her favorite hobby is old time radio. She is the recipient of several awards, including the Jack Kirby Award in 1985 and the Allen Rockford Award in 2006. She lives in Wisconsin. Barbara Watkins lives in the Los Angeles area where she has co-hosted an old time radio program for three decades. She is the co-founder of a group producing new radio drama for more than17 years. She was one of seven experts chosen by John Dunning to help with his highly acclaimed On the Air: the Encyclopedia of Old-Time Radio. She is a radio columnist and a recipient of the Rockford Award. Stewart Wright, a retired cartographer and geographic researcher who lives in Colorado, has been collecting vintage radio shows for nearly 40 years, and researching and writing about a wide range of old time radio topics for over 20, especially Gunsmoke and other westerns. He is an active member of various vintage radio clubs, and has written extensively about the contemporary radio series, the Jim French Productions in Washington State. The Agatha Award (named after Agatha Christie) is presented annually by the Malice Domestic mystery convention to an honoree whose written product has been voted first place in one of several categories. The Allen Rockford Award was given annually by the Friends of Old Time Radio at its Newark convention to an honoree who had contributed “over and above” to the old time radio hobby and community. The Jack Kirby Award was presented by Amazing Heroes magazine in different categories for significant achievement in comic books. The Ray Stanich Award was given annually by the Friends of Old Time Radio at its Newark convention to an honoree who contributed significantly to old time radio research through writing books, articles, newsletters, and/or program logs. The Rondo Hatton Classic Horror Awards, based upon popular vote, have been presented to honorees in several categories since 2002 by the Classic Horror Film Board.